So happy with the perfect result, I instantly made a chaat out of it for the evening snacks, and loved it to the core.. So here's my happy recipe of a simple, happy chaat. Chaat masala/ Garam masala: 1/4 tsp. Heat oil in a pan and add cumin seeds. Add the onions and fry a bit, till they just are little transparent. Add the tomatoes and green chilli, mix well and let cook for a minute. Add the salt, red chilli, chaat masala, mango powder and coriander powder and mix well. 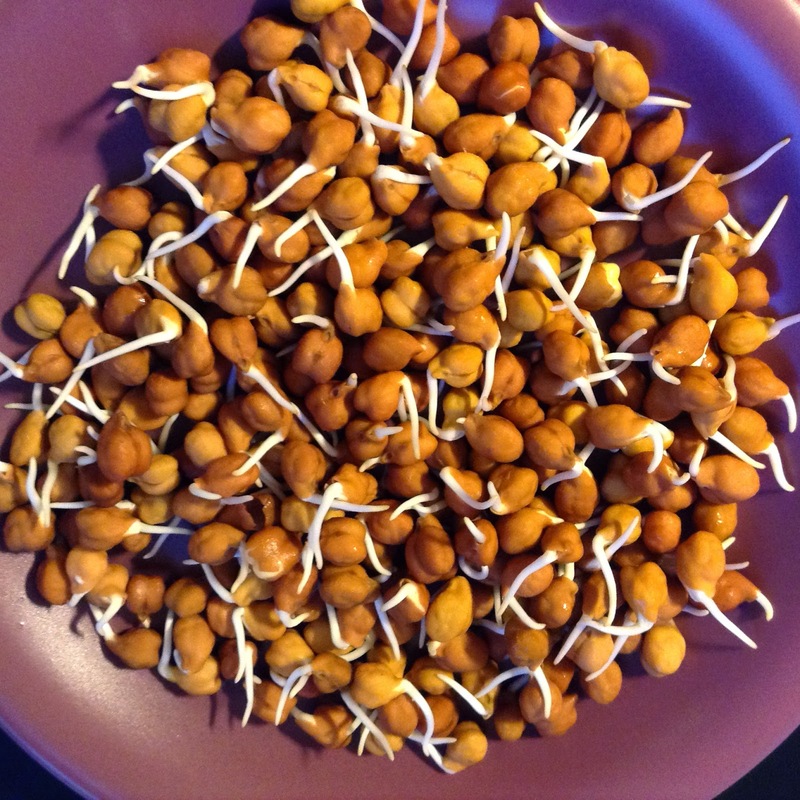 Add the washed, sprouted chana to the pan. Mix well and let cook for another minute. Turn off the heat, sprinkle lemon juice and ting! 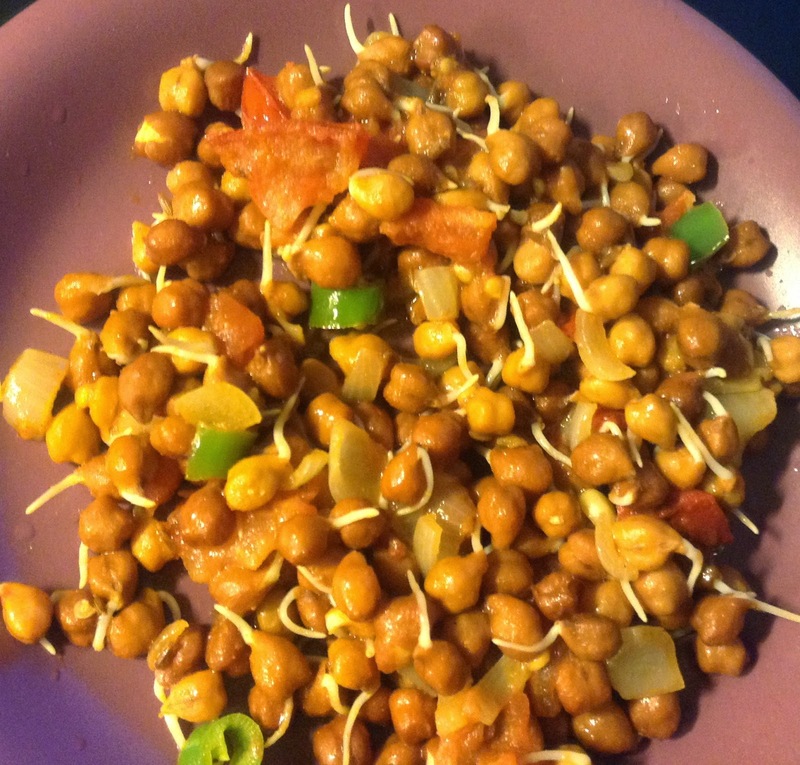 Your healthy, tasty sprouts chaat is ready to eat in less than 10 minutes. Enjoy ! !